Private Family Banking™ allows you to create wealth and pass it along to multiple generations. Here’s how it works – first create a “pool of money” that you control, that is safe, and is guaranteed to grow. Private Family Banking™ uses a customized dividend paying, whole life insurance policy to create this “pool of money.” Then use this growing “pool of money” as collateral to finance your family’s purchases. As money is paid back for any purchase, the “pool of money” continues to grow and accrue compound interest. If you typically pay cash for your family’s purchases, you are losing the interest that your cash could have earned when you make a purchase. Private Family Banking™ allows you to make purchases without giving up the interest your cash is earning. 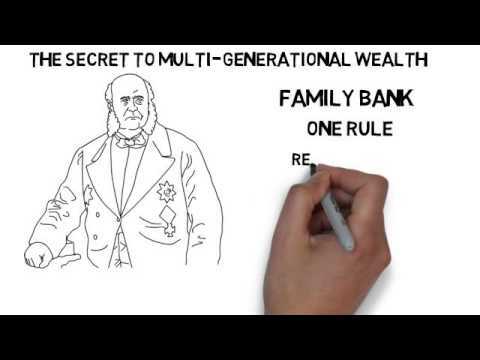 Watch this short video on how to build wealth and keep it like the Rothschilds!